Honestly, I think side dishes and appetizers are my favorite recipes to make, because with just a few simple ingredients you can complement any meal OR have a standout party display that your company will LOVE! Not to mention how easy they are! 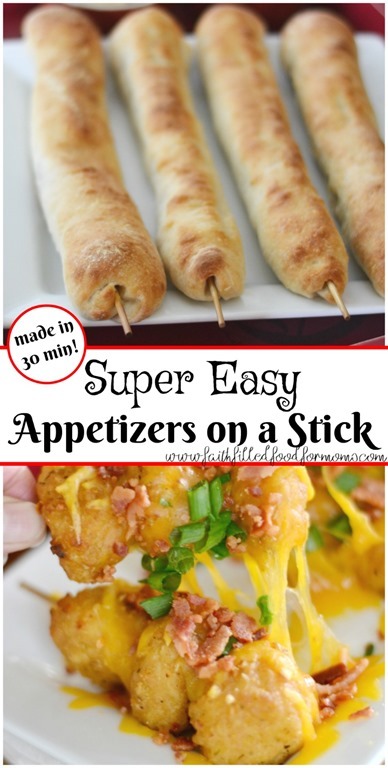 These Super Easy Appetizers on a Stick are Perfect for Game Day or any party occasion! Football and basketball are all the rage right now around our house. With my girls on the high school basketball team and pro and college football in full swing (which we ALL love!) Homegating parties are on the rise for these Big Game day events! Whether we are having kids over for team dinners or all of our friends and their families for a Homegating Party, appetizers are the BEST and easiest to plan and serve. Filling too! Knowing what you will be serving ahead of time frees you up to enjoy a fun time too! 1 Super Easy Appetizers on a Stick Perfect for Game Day! 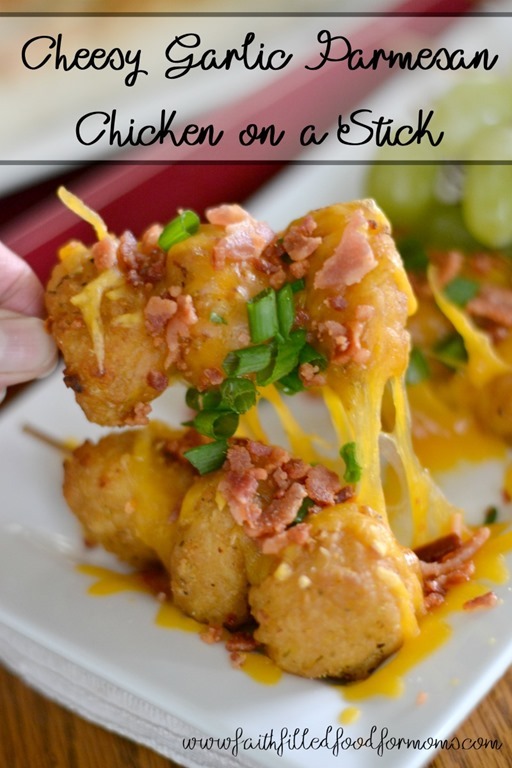 5 Cheesy Garlic Parmesan Chicken on a Stick! I am SO busy these days that I have to use each moment wisely and devising easy party hack solutions that taste amazingly great are just part of life! I think you’ll agree…these easy appetizer solutions will make your life easier too! So let’s get cookin’ before your company comes! These Foot Long Hot Dogs are just too easy and because they are so hearty with delicious 100% Beef hot dogs without any nitrites or artificial preservatives you can feel good about creating these fun and filling snacks for your Homegating party! Put 2 Ball Park hot dogs on each skewer. 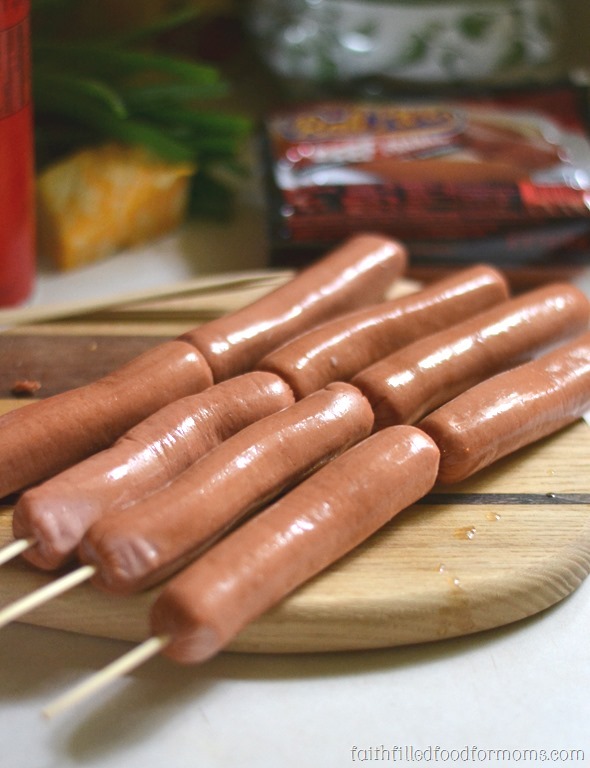 These are so juicy, hearty and full of flavor…just sayin… One package will make 4 foot long hot dogs. 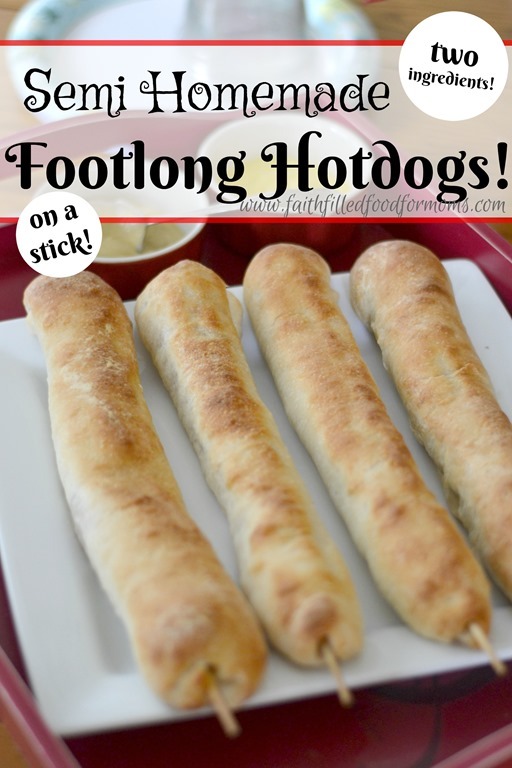 Then roll out your dough and lay your foot long hot dogs evenly on dough. 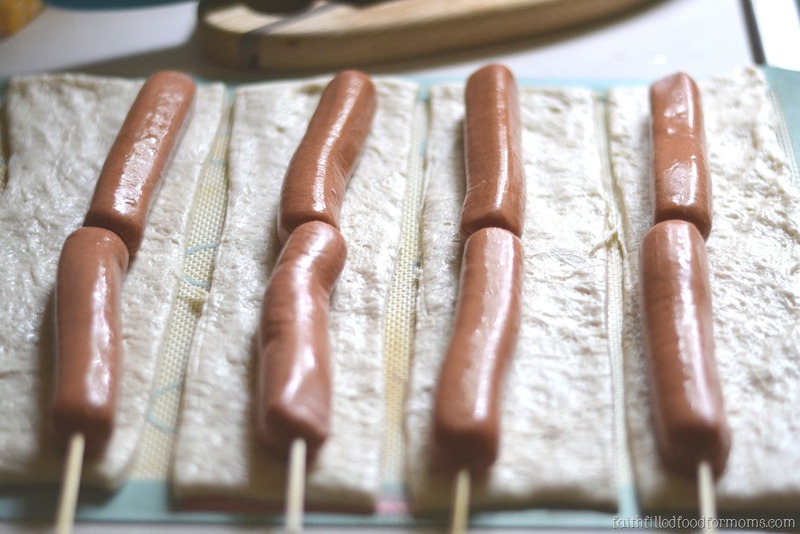 Slice in between each hot dog skewer. Then roll up your hot dogs in the dough and pinch the seams closed. Lay on your baking sheet and cook for 15 min at 375 degrees or until golden brown. 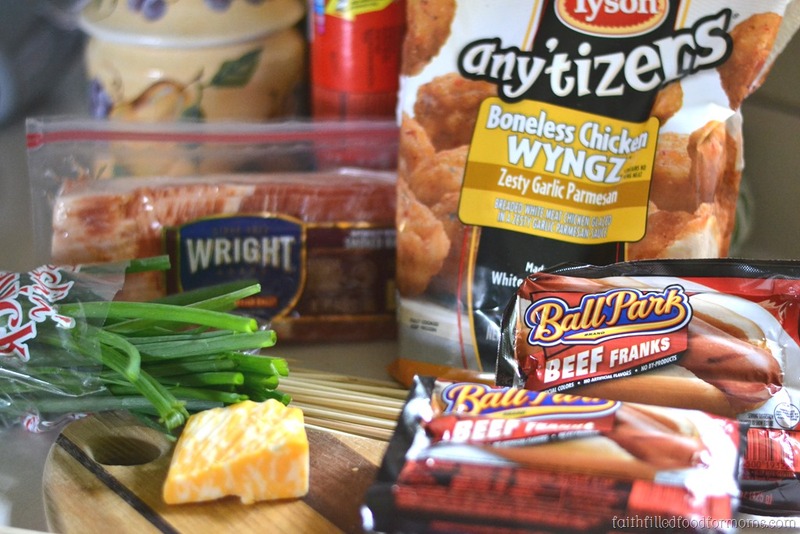 Tyson products have the perfect products for Snack Hacks! These Easy Appetizers on a Stick are Fast! 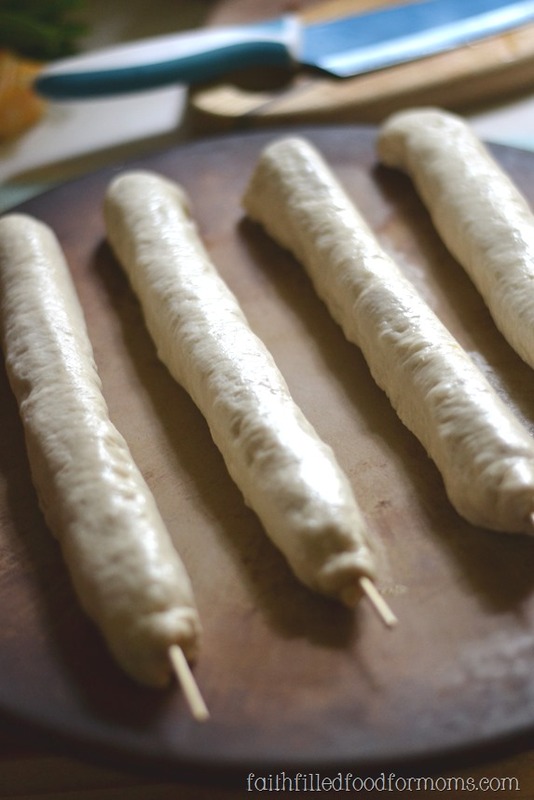 They are double bangers, they are so filling and no need to make more! Everyone is happy and full and they don’t even have to get up for seconds…except of course those that can eat TWO foot longs! Cheesy Garlic Parmesan Chicken on a Stick! Then top with Wright Brand Bacon (crumbled) along with green onions, cheese and anything else you might like! Did you know that you can cook bacon in the microwave? It’s super easy and the perfect quick snack hack for adding a little something special on appetizers. Lay bacon on a few paper towels on a plate, then cover with a few paper towels. I cooked these 5 pieces of bacon for 5 minutes and they turned out perfect with no mess! Simply throw away the paper plate with the absorbed grease and BOOM it’s done! Then crumble in a blender if you have one….so easy! 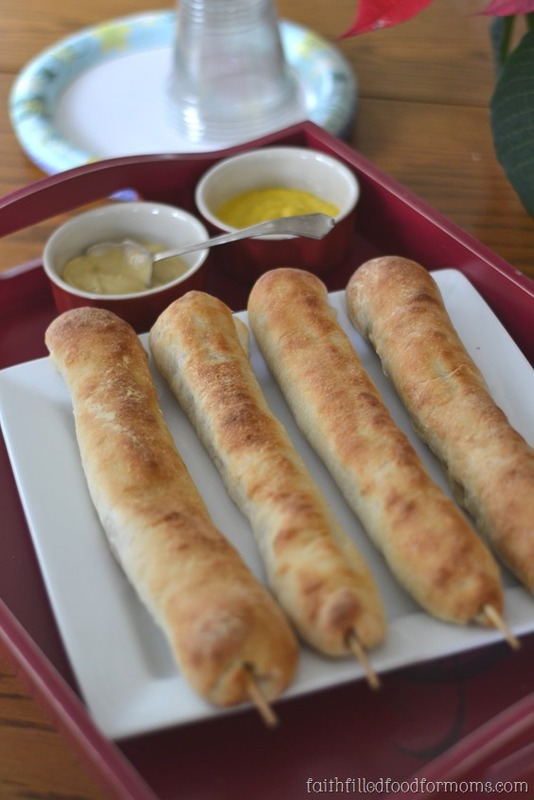 These two appetizers on a stick took me about a half hour to make and that includes cooking time! One of the things that helps me save my sanity and save time when I have company coming over for Tabletop Tailgate gatherings is to make things ahead of time. I for one like to relax with my company and have fun too, so making these ahead of time would be SO SIMPLE! Do all of the steps above except the cooking part. Make ahead, refrigerate and when company arrives pop these 2 appetizers in the oven! That’s it!! Enjoy your company and some down time during game day, you deserve it! Don’t get overwhelmed by company, plan ahead just a little and you can relax and enjoy your own company and food too!